Over the years, one of the things that my work has proven to me is that we are eternal, infinite. Spirit encased in a physical body choosing to live a physical life – choosing to live the illusion of limitation. We are not only connected to Divine Mind and filled by Divine Presence but we are also connected to each other. As Spirit, we have a number of natural gifts that we have inherited. These gifts include such things as clairvoyance, clairaudience, clairsentience, aura sensing, prophesy, divination, healing and others. These gifts are as natural to us as taking a breath of clean fresh air but many of us choose to reject them as we become immersed in our physical life. To some in the physical, psychic gifts ( soul gifts) come easier than to others just as the ability to play a piano or do math comes easier to some. We all have gifts and everyone is psychic. We all have the ability to work with the unseen world. It is natural because we are Spirit. The more we accept it and the more we use it, the easier it will be to normalize it and incorporate it into our lives. To me, today, the reality of the Spiritual realms and of God is not a matter of faith but is an absolute truth based on personal experience. I have been blessed with experiences whose foundations in the physical world allow me to testify with absolute assurance that we are immortal and that God – the Divine Presence – moves in each of our lives. I have now been working as an intuitive for over 30 years and have had the opportunity to do many thousands of readings. These readings have provided me with many personal proofs and confirmations as to the reality of Spirit and the Spirit Realms. What is your spiritual practice and how do you approach your spiritual life? How do you believe in God? Barry discusses the nature of spiritual life and Divine Mind and its power in our lives. I have always been sensitive to the world of Spirit. As a child, I remember a small white ball of light which would float just above a day couch in my room and sing to me at night. The singing was in a woman’s voice and was the most beautiful, calming sound. Today, I know the light was an angel and the singing was an angel’s voice. ​I also remember going to sleep at night and waking up in a place where the kindest and gentlest people would talk to me and show me around. They looked beautiful and healthy and were filled with light and joy. While I was visiting, I was conscious of my body being back in the bed asleep and even though everyone was very nice, I would try to make my body wake up because I was not suppose to be talking to dead people (people in Spirit). In time, I trained myself not to have these experiences. I still have vivid memories of those excursions into the Heaven world. It is also important to know that I was not aware that everyone was not having these experiences. They were normal to me and I assumed they were normal to everyone. It was only as I grew older that I became aware that the experiences I was having were considered unusual. I had to wait until I became an adult and found the Interfaith Ministry before I was able to allow my gifts to manifest in a meaningful way. Readings are by nature positive and constructive providing people with the tools they need to meet the challenges they have undertaken in this life. When beginning a reading it is not necessary to ask the client why they have come, Spirit knows the issues and addresses them in a loving and gentle way. Even today, I stand in awe of this wonderful gift and the power it has to heal when shared through love. I could see a great weight being lifted off the man’s shoulders as he spoke to his son. 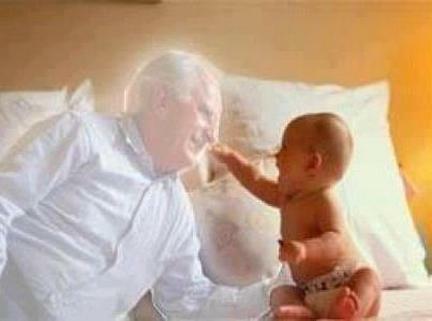 That day, that man left knowing that we are eternal and that his son was alive and well in the Spirit realm. He also knew that they would be reunited when he made his transition. Rev Barry talks about doing readings and the connection and insight that can be gained through the guidance that Spirit brings. 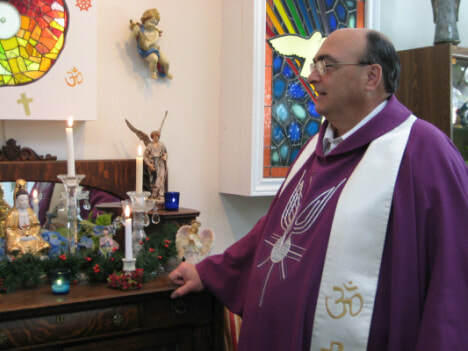 Rev Barry talks about creating the Interfaith Ministry to provide a place where people could explore their understanding of Spiritual life in an inclusive and supportive environment. Rev Barry shares a bit about his understanding of the Spirit Realms and the nature of the non-physical dimensions or worlds. We in the Interfaith Movement, who embrace a path which celebrates a unifying and universal approach to our understanding of God, are the benefactors of a philosophy which is thousands of years old. In this philosophy, we are aware that there is but one Ultimate Reality which is known in the world’s religions by many names. This fundamental consciousness is the foundation of the universe. This philosophical view lays a foundation for us to understand how the physical reality we live in was created. It also provides a way for us to understand the “God Head” or “Ultimate Reality” that we see reflected in the world’s many religious traditions and cultures. Whether there is one or many universes, this foundation affirms the “spiritual truth” that we are all children of - or part of - this “Universal Consciousness.” We exist in the MIND of THE ALL. Until recently, the belief that we are the creation of God or “the MIND OF THE ALL,” was a matter of faith and was not reflected in our scientific understanding of the Universe. This is no longer true. Astrophysicists Bernard Haisch notes in his book The Purpose-Guided Universe: Believing in Eistein, Darwin and God that the creation of our physical reality by consciousness is already built into “Quantum Physics” and that this has received validation by vigorous and ingenious experiments over the last fifty years or more. The two most prominent and accomplished astrophysicists of the last century were Sir James Jeans and Sir Arthur Eddington. Both expressed the view that consciousness was likely the foundation of the universe itself. Sir James Jeans wrote in his book The Mysterious Universe: “The universe itself begins to look more like a great thought than like a great machine.” The understanding that consciousness is the foundation of the universe we live in is gaining more and more acceptance and is the foundation of Quantum Physics. Haisch tells us that the universe we live in has the perfect natural laws for the creation of the conditions which would allow for life to evolve. For example, if the ratio of gravity to the electric force was stronger, it would have resulted in smaller stars with shorter lifespans and crowded galaxies. This would have not allowed the time for the evolution of life as we know it. Also the conditions in our universe are just right for the formation of carbon and oxygen with the correct energy resonance allowing stars to form. In our universe, water has unusual properties when compared to other liquids making its boiling point unusually high allowing for it to remain a liquid for critical biological processes. Water also has the special quality of being less dense when frozen allowing it to float on top of liquid water. This has obvious advantages when we consider that life as we know it evolved in the oceans. These are just a few of the coincidences which make life in our universe possible. In his book The Purpose-Guided Universe: Believing in Eistein, Darwin and God, Haisch discusses a number of the “just right” conditions which science has found which makes our universe perfect for life. He notes that if the universe does not have as its foundation a guiding consciousness, then it’s laws must have occurred by chance. If this is the case, then we live in a multi-verse and there are many universes with all possible combinations of laws guiding their development. The challenge with the notion, that our universe is one of many and that chance has created the perfect conditions for life, is the incredibly low probability that it could happen. The chances of it happening statistically are 1 in 10 to the power of 500. To understand the magnitude of this unlikely possibility, one must understand that the number of atoms in our universe is 10 to the power of 80. That means that the likelihood of our universe being as it is by chance is 1 in 5 times the number of the atoms found in our universe. That is an unimaginably low probability. It would seem that it is no less probable that the universe was created by a conscious act of creation using physical laws to allow for the development and evolution of life. We are blessed to live in an amazing period in human history. As our understanding of the universe and its foundations grow, the line that separates science from our spiritual understanding is becoming less defined. As our understanding of the world’s many religious and spiritual traditions grows, we become more aware that we share a common fundamental spiritual truth which unites us all. The Interfaith Movement is a natural and necessary development in the healing of the world we live in. The Perennial Philosophy by Aldous Huxley. Rev Barry channels a message from Spirit which explores the our two minds – the mind of the physical and the mind of the Divine. Spirit gives us guidance on how to rise above the limitations of the physical. 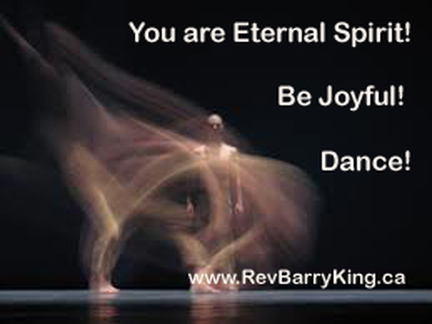 Rev Barry channels a message from Spirit which explores the nature and value of the work of Spirit here in the physical and the value of being born into a physical life. Join Rev Susan as she discusses about Nature Spirits and how they are all around us. She also shows us how to connect with them. Join Rev Susan as she talks about magick in a different sense than the magic we know today. We have been given the opportunity to choose our path and to make mistakes and to grow. We live in a universe of free choice. God does not make choices for us and there is no devil to blame our actions on. We choose. We make mistakes. We learn. We grow. In the physical, thoughts also become things but it is a slower and more tedious process. The chair you are sitting in was once a thought form and now it has been translated into the physical. The physical is made of much slower vibrations than that of Spirit so it takes more energy and effort to manifest. Things in the physical must be shaped and molded, but be assured, the world you live in is the product of your thoughts – both the negative and the positive. When you step onto the Spiritual path, you are saying to God, “Challenge me!.” You have chosen the circumstances you were born into. They provided you with the best potential to learn and experience the things that you have chosen to experience in this life. It is only in the physical that one can experience the things of the physical such as pain, suffering, loss, grief, frustration, etc. It is not what you go through in this life which moves you forward along the path but what you choose to do with it. Life is purposeful. In some ways, you can never make a mistake. Everything you do has consequences and those consequences provide us with opportunities to learn. If you have made a choice which has moved you into an unpleasant consequence, then learning from it will hopefully mean that you will not make the same choice again. If you have not learned from the experience, you will have another opportunity. Every choice moves us forward along our path. f you do good things because you feel you have to or will be punished if you don’t, then from the point of view of our Spiritual growth, what is the value of doing those good things. Things must be done because they are right, not because you are afraid. It is your intent that infuses what you do. It is your intent which is measured and evaluated when it comes time for you to look at your life from the Spirit realm. So even though you may have a lifetime of apparently good deeds, you may not reap the benefits of those deeds, if they were done through greed, or fear, or the need for power or control. It is your thoughts which matter. Remember that every thought is a prayer. It is not only when you call a thought a prayer that God listens. God hears your thoughts whether you are officially praying or not. As mentioned earlier, treat every thought as if it will become a reality. That means that when you have a negative thought, you must learn to transform it into a positive. Today is not a difficult day – “Today is a wonderful day to be alive. Thank you for the challenges which have provided me with the opportunity to grow.” Affirmations are important because they work. “Every thought is a thing”. A relaxing and peaceful journey of connection to a teacher guide and to your awareness that you are part of the Divine Source…..The ALL.